HexArmor Chrome Series safety gloves from Diplomat Blades offer over 25 times the cut resistance of conventional mechanics’ gloves. HexArmor safety gloves also offer over 10 times the cut resistance of Kevlar. HexArmor USA has invested millions of dollars perfecting technology and PPE designs for protective gloves to outperform conventional products available for cut and abrasion resistance. Chrome Series safety gloves are made from SuperFabric material for high cut-resistance that exceeds ISEA and CE Level 5. Back-of-hand impact protection in these work gloves is a key advantage. The synthetic leather palm enhances grip in dry or light oil applications while providing dexterity to utilise tools and equipment. The cut resistant gloves are designed with Hi-Vis colour and reflective tape on the back of the hand. 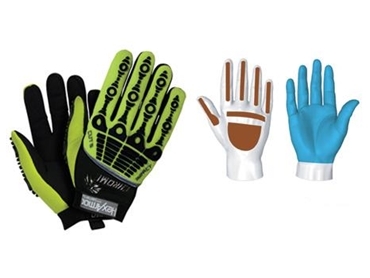 The oil-resistant and washable hand protection gloves find wide application in industrial workplaces such as oil and gas operations, maintenance, mechanic’s work, machine repair and extrication.